So when I go tailgating if its an afternoon game it always includes a breakfast sandwich. So when I received my fabulous 5 pound box of Meyers Elgin Sausage. I immediately thought this would be a great start to the tailgating season. This week we for #SundaySupper we will be showcasing recipes with tailgating in mind. 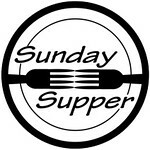 I hope you enjoy them as much as I do and don't forget to check out the other #SundaySupper's entries. FYI...I assemble these Sandwiches at home and reheat them on the grill when I get to the stadium. Avocados vertically then cheese if you like. Wrap in foil then heat on the grill once you get to the stadium. Winning or losing, watching football is always better with a tailgate party. Hosting a big viewing party at home or setting up camp outside the stadium. These recipes are sure to get you in the mood for the big game. that is a good lookin' sandwich. i imagine you are the most popular gal at the tailgate! Might as well start off a big day of tailgating with these hearty sandwiches. Lots of good stuff to keep you going to cheer your team on to victory. Grilling the sandwiches is a very good idea. Perfect for noon games. Sounds like a great way to start your day, Sheila! I love the idea of starting your tailgating early with a breakfast sandwich! This one sounds oh so yummy! Perfect way to start the long day of tailgating with a breakfast sandwich !! Wow, this sandwich is awesome! Sausage, eggs and avocado? Yummy! I would love to start my tailgating party with this awesome sandwich!!! I would eat this for any meal of the day! YUM! Avocado, and bacon - Yum!!! I grew up eating fried egg and bacon or sausage sandwiches and learned to love avocado! You stole my heart with your hearty breakfast sandwich! See you tonight on twitter @fromagechick with #SundaySupper! Game on! I love me a good breakfast sandwich and damn, this one looks good! I've never had gluten free bread (I have a fear of the unknown!) but the one you used looks great. You've inspired me to try it. I like Udi's brand it taste the best but you could make on regular bread too. Great idea to assemble and reheat when you get there! WOW I sure wish I had one of these right now!! Thanks so much for sharing! What a great looking sandwich. Love it!! YUM! What a great way to start the day! I don't eat gluten free but I would eat that delicious looking sandwich any day! YUM! Love the idea of the Avocado on there!! I have to try that! Thanks for sharing for #SS! Breakfast is good any time of the day! And it has avocados - my favorite! Gosh, this looks and sounds so delicious! Everything from the sausage to the avocado...YUMMMM! OK we definitely need to try this--my husband is big time into making breakfast sandwiches on the weekend, so this recipe is going straight to him! What a wonderful sandwich! Yeah we use up a lot of calories taigating. this would be a great start of the day. Mmmmmm....what a fabulous way to start the day...full of protein and deliciousness! Great #SS post! Any sandwich with avocado is a big win with me & these look fabulous ! Sausage sandwich with eggs and avacado? Why haven't I thought of this? I'm going to go make this tonight! What a great sandwich to get the party going! Awesome flavors and textures in your sandwich! !Love sausage, egg and avocado together! !Can I have some for lunch today??? This is one protein packed sandwich!